Greetings in the Twelve Tribes of Yisra'el, who were once lost and now scattered abroad worldwide. But shall be regathered again by Elohim's will. The City of Yerushalayim, in Yisra'el, shall be restored again by Yahshua the Messiah, in the Messianic Kingdom! Who are the Remnant? To find out, you have to first read about the House of Israel's unity, then the seperation of them, through King Solomon's disobedience. King Rehoboam & Jeroboam founded the House of Judah/Israel. Read the scrips below. And it came to pass, when all Israel heard that Yarobo'am was come again, that they sent and called him unto the congregation, and made him king over all Israel: there was none that followed the house of Dawiyd, but the tribe of Yahudah only. And when Ra'chab'am(Rehoboam) was come to Yerushalayim, he assembled all the house of Yahuwdah, with the tribe of Binyamiyn, an hundred and fourscore thousand chosen men, which were warriors, to fight against the house of Yisra'el, to bring the kingdom again to Rachab'am the son of Shelomoh(Solomon). (I Kings 12) Click on map. Because of disobedience to YAHWAH, both Houses were enslaved. Some of the Israelites did return as the Bible shows us, but where are the rest? 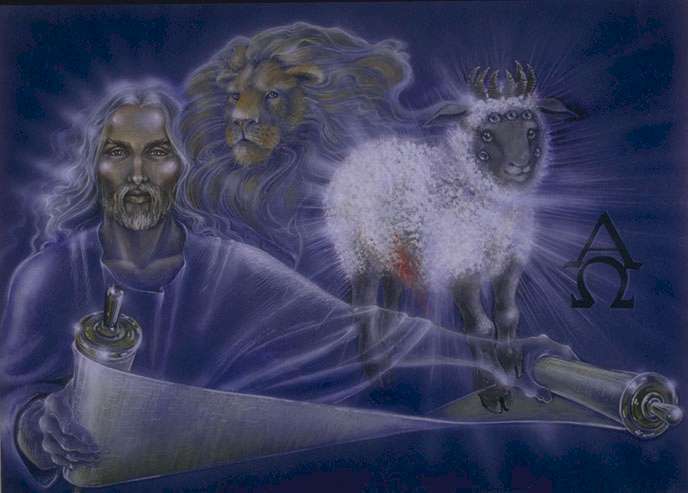 Yahshua Ha Mashiyach came to gather the Lost Sheep of the House of Israel! The Twelve Apostles also preached the Gospel to Israel's lost sheep, by Messiah's will. Yet not all heard Yah's word, so they remained lost & scattered among the Gentiles. They were even seen as Gentiles, because they lost their Israelite customs. The Twelve Tribes are scattered abroad. Yaqob(James), a servant of Yah and of the Master Yahshua Messiah, to the Twelve Tribes which are scattered abroad, greeting. (Yaqob 1:1) The Apostle James proclaimed that Israel was scattered all over the world. The Twelve Tribes(Shanayim 'Ummah) are mentioned of being in Africa, & from there they were taken to the Caribbean & the Americas. Notice carefully what Yeshayahu(Isaiah) 11 says, about the Remnant being in the islands of the sea,(the Caribbean) & worldwide. Let us remember that Israelites, avoided the Roman captivity by fleeing from Jerusalem to Africa as well. Israel were also seperated in Asia & the Mediteranean, through the persecution they faced from their own people when some embraced the Hebrew Messianic Faith! Therefore, we must see ourselves as the Twelve Tribes of Israel, who are Yah's lost & scattered sheep! Shemites are the physical remnant of Israel, which the Bible even shows us! The Apostle James knew, that the Twelve Tribes are scattered abroad, but would be gathered again very soon in the New Yerushalayim, which is why he wrote about them in the first place! For there will come a time when these lost sheep of Israel, would be regathered by Yahshua the Messiah. These are the ancient Israelites, the Remnant of Jacob, who shall one day be unified again with Yah! They are quite distinctive from other peoples(non Israelites) embracing the faith now. For these Israelites are the Remnant of Jacob. Even though Israel is prophecied to be as numerous like the sand on the seashore, only some of them would be called by the Almighty to be saved by the Messiah, Yahshua, and preach the Good News. These are the ones who daily keep Yah's commandments & carry the testimony of the Messiah to others. After the captivity of both Israel & Judah, only a remnant returned & it is they who were chosen by YHWH. Daniel, Ezekiel, John the Baptist, Anna, Simeon, Mary, & others are good examples of this spiritual remnant of Yah in Israel. All Hebrew Israelites shall unite by Our Elohiym of Israel, & receive salvation from Him through His Son, Yahshua Ha Mashiyach in the future! Prophecy shows us that Israel will be reunited again like in the olden days. There will no longer be a house of Judah or Israel, for they shall be One Nation again! They shall rise up out all the different nations where they were dispersed at, & come to Palestine again! In the Nation of Israel, Yah's Anointed King shall rule over them all! We will be spiritually gathered by that King, Yahshua Ha Mashiach in New Yerushalayim! Yisra'el prepare yourselves for our future universal King(Malak)!! For your redemption draws near Israel! YHWH BLESS THE REMNANT OF YISRA'EL! Yisrael has a remnant and they are the physical and spiritual seed of Jacob whom the Most High chose to preach the Gospel of the Kingdom to the world!